As a BibRavePro, I get to chat regularly with a great group of people about running topics, product placement, marketing and testing as well as many other subjects. Each Tuesday, the scope widens beyond the “Pro’s” to many other runners and alike at #Bibchat (which takes place at 9ET each week). At #BibChat, many get together to discuss the running topics of the day and each of these nights tends to be sponsored (this being one of the topics of course). This past Tuesday’s was no exception with Body Glide being featured! Before proceeding into the recap, and like I shared yesterday in a chat recap of #runatcan and #runchat, the “Chat Recaps” will focus on new things I learn and are useful and will not feature my ideas (unless of course I think they are “useful”). So without further ado, let’s proceed with BibRaves #bibchat recap! Oh wait, one more thing. One quick word from our sponsor. 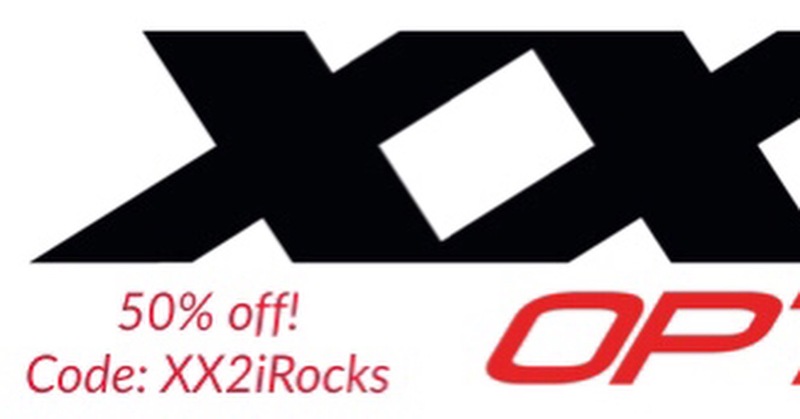 Get 50% off with code XX2iRocks at the XX2i Website on some great products they sell (I am testing glasss with them). Now, on with the recap and what I learned this week at #Bibchat! Many cited reasons for their blister and chafing issues on the clothes side. One idea that I had not considered was the use of new clothes (I though shoes were the only issue on the new side with blisters). Also everyone agree – moisture, humidity and cotton are bad! Protecting ones face! So I don’t take case of my “mug” so the responses here were of interest to me. Here are some good ones…a hoodie buff came up (I do not know what that was at the time but with research, not bad). Also, one mentioned a carhart facemask, one person grew a beard to protect his face and one uses neosporin on her face to protect against wind burn! What prevents chafing and blisters? Obviously Body Glide for one! A couple other answer that were noteworthy were chalk, compression clothing, vasoline and bandaides as options! Don’t touch your face! So the last question was “skin care tips.” One that just stuck out to me was this: “During hot runs, never touch your face– the salt on your face will scratch your skin!” This blew me away! Well, that is it for this recap! Once again don’t forget about our sponsor XX2i when making your next eye glasss or sunglasses choice! Previous Post ﻿CR: Achilles, compression and foam rolling! Next Post All About Motivation!